Set to release on January 25, Manikarnika will see Kangana donning the director’s hat for the first time. Based on a biopic on the life of one of the most celebrated female Indian warrior, the upcoming movie, Manikarnika: The Queen of Jhansi, has actress Kangana Ranaut playing the titular role of Queen of Jhansi, Rani Laxmibai. Also starring Ankita Lokhande, Danny Denzongpa, Unnati Davara and Mishti Chakraborty, the movie is garnering a lot of attention for its robust female cast. 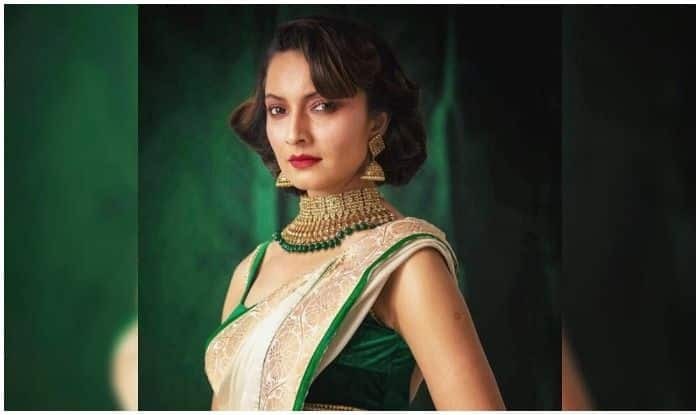 The former beauty queen shared that her character in the movie is of Lakshmi Bai’s strong ally, the fierce warrior Mundar, who doesn’t talk much but has a very strong appearance. Acknowledging producer Kamal Jain for offering her the role, Unnati said, “The only question that he asked me before signing the film was ‘Do you know how to ride a horse?’ I was like, ‘Yes’. Although I knew horse riding, I always had a fear because I have eight to 10 stitches on my head. During my childhood days, while learning how to ride a horse, I met with a terrible accident and that was the last time I rode a horse.” Unnati however, managed to pull it off. Set to release on January 25, Manikarnika will see Kangana donning the director’s hat for the first time. Given the lack of appreciation she received as her previous attempts in the field had flopped, Kangana revealed in a recent interview that debuting as a director became challenging for her and people refused to back her initiative.